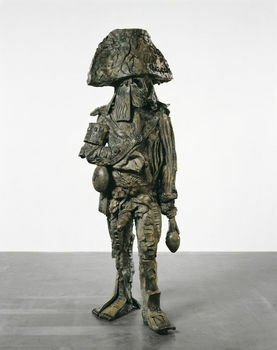 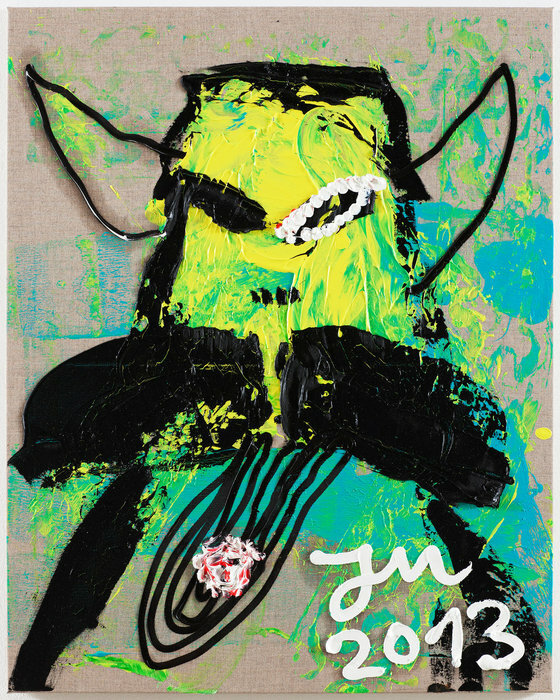 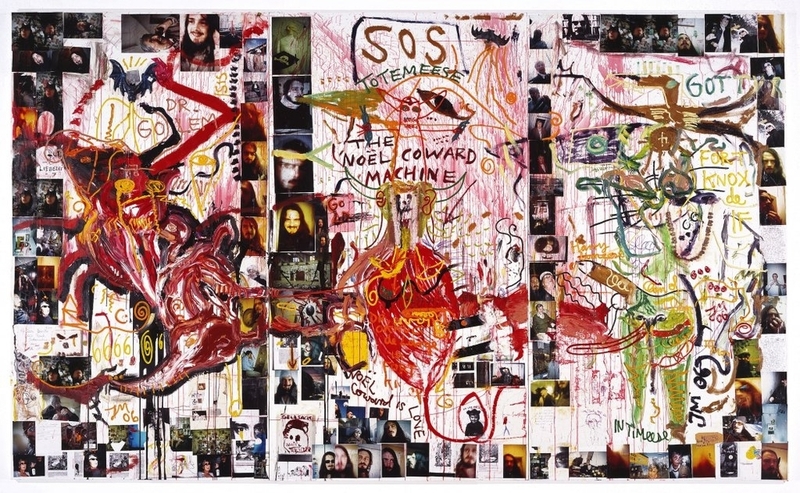 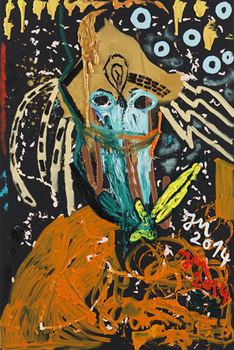 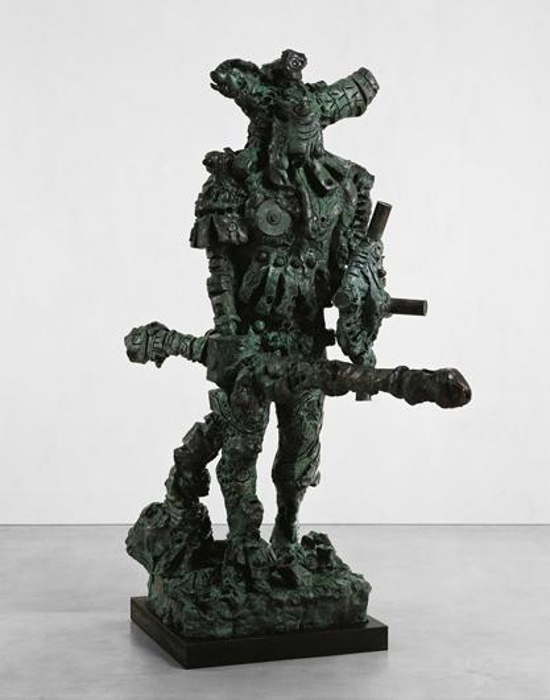 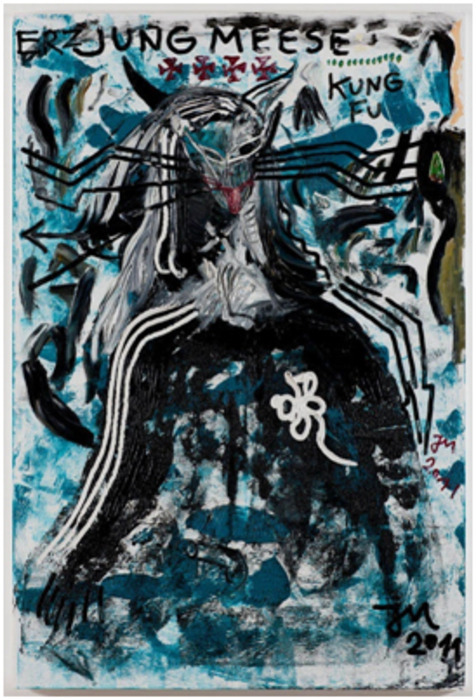 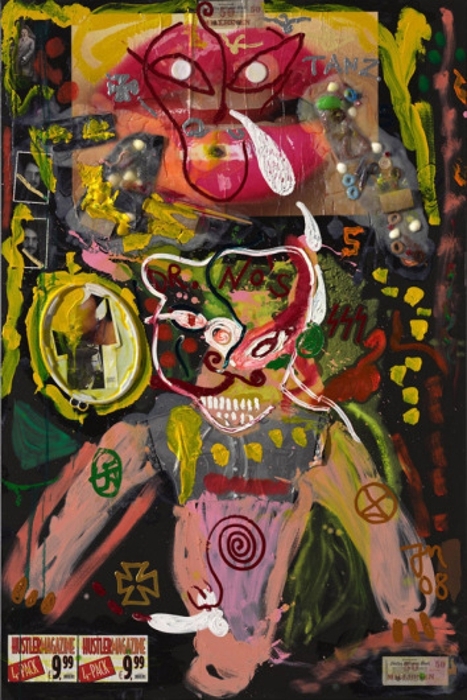 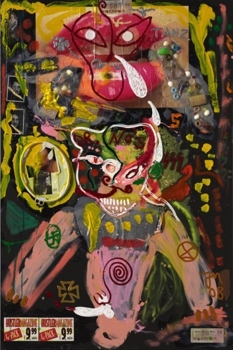 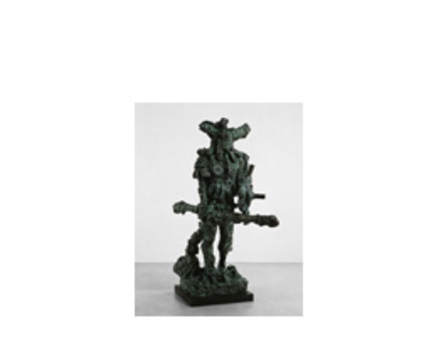 Jonathan Meese is a German painter, sculptor, performance artist and installation artist. 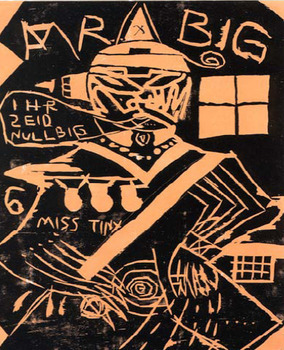 His (often multi-media) works include collages, drawings and writing. 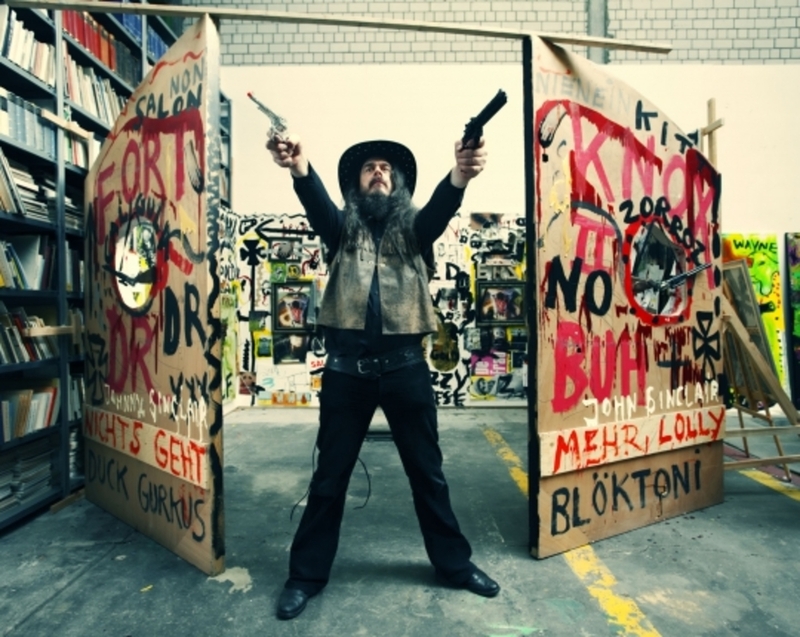 He also designs theater sets and wrote and starred in a play, "De Frau: Dr. Poundaddylein - Dr. Ezodysseusszeusuzur" in 2007 at the Volksbühne Theater. 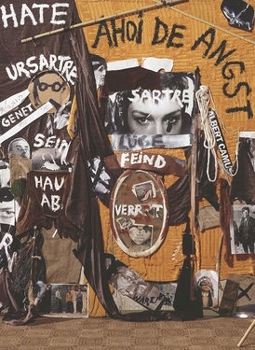 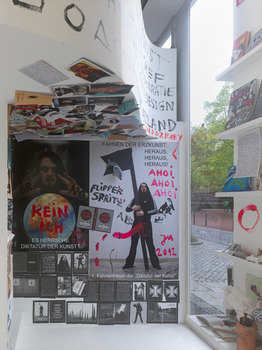 An early installation Ahoi de Angst was presented at the first Berlin Biennale in 1998. 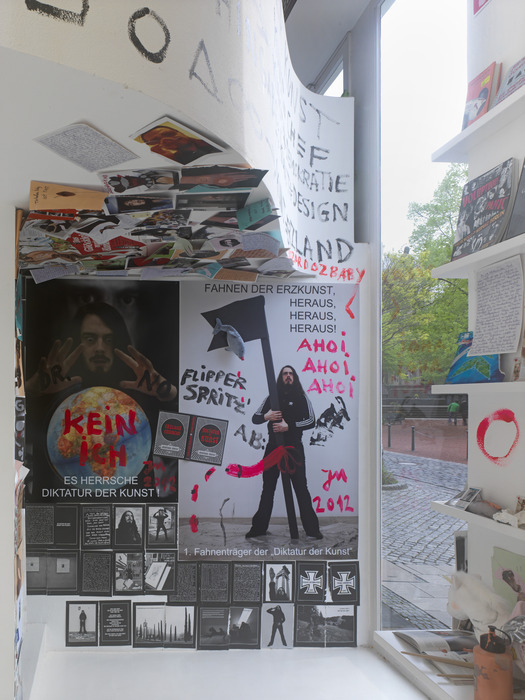 Susanne Titz, writing about the Biennale said, "It was thus clear that Meese had indeed put his finger on the pulse of his generation and presented it." 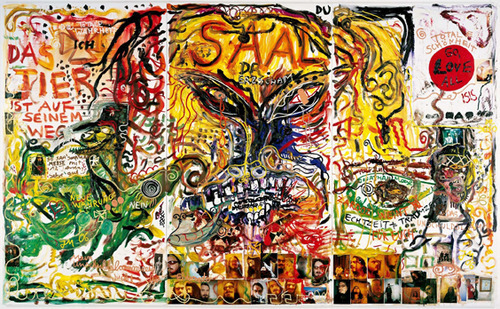 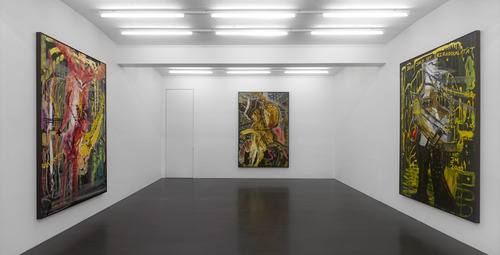 According to Karel Schampers, "Jonathan Meese can tell a story in such a gripping way that you would never have the idea to doubt its truth. 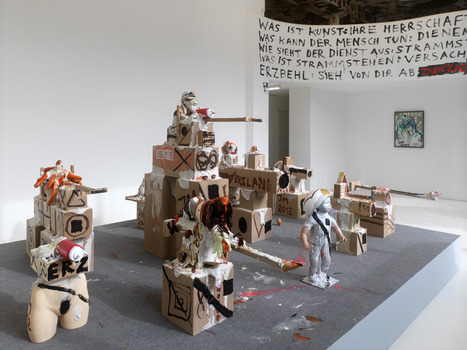 Especially his installations benefit from this quality." 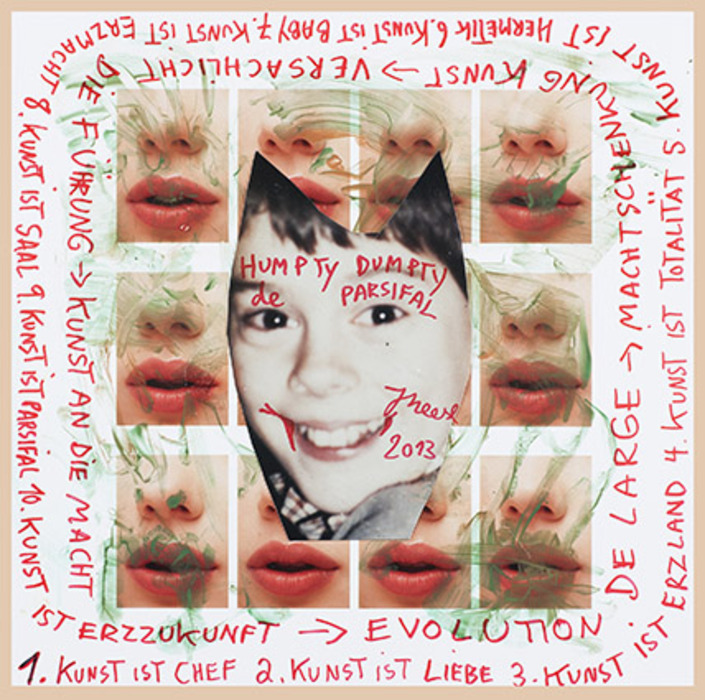 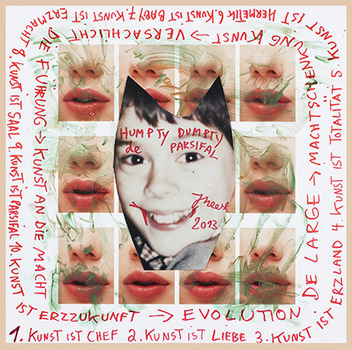 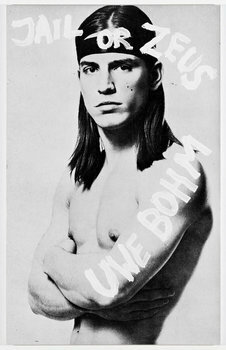 He has been included in exhibitions “Spezialbilder” at Contemporary Fine Arts in Berlin, “Grotesk!” at Schirn Kunsthalle in Frankfurt and “Schnitt bringt Schnitte” at Ausstellungsraum Schnitt in Köln. Recent exhibitions include Thanks, Wally Whyton (Revendaddy Phantomilky on Coconut Islandaddy) at Modern Art, London, and a performance at Tate Modern, entitled Noel Coward Is Back — Dr. Humpty Dumpty vs. Fra No-Finger.